"Remastered by Michael King at Reel Recordings in Canada from the original analogue tape in full glorious mono. Double 180g LP in deluxe gatefold sleeve." 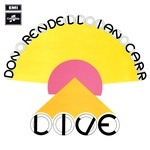 Reel Recordings presents the Don Rendell-Ian Carr Quintet, Live At The Union 1966 in affiliation with the February 23, 2010 Queen Elizabeth Hall concert, "Ian Carr: A Celebration Of His Life And Music." All proceeds from this CD to benefit Britain's Alzheimer's Research Trust. 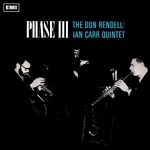 Jazz in Britain during the 1960s found many musical voices speaking uniquely beyond their American inspiration, but few spoke as eloquently as the Don Rendell - Ian Carr Quintet. 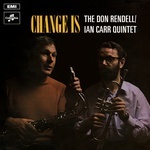 Formed in 1964 by modernists Don Rendell (saxes/flutes) and the late Ian Carr (trumpet/flugelhorn), their quintet was perfected by the tremendous rhythm section of composer Michael Garrick (piano), Dave Green (double bass) and Trevor Tompkins (drums). 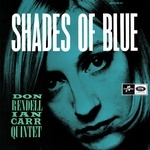 While a handful of classic records made for EMI/Columbia UK between 1964 and 1969 remain among the most sought-after missing discs in many a British jazz record collection, it was on the bandstand where the Quintet's music found its greatest expression. 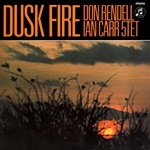 What a revelation then, to discover this lost private recording, which captured six chapters, played from the stylistically expansive book of compositions penned by Don Rendell, Ian Carr, and Michael Garrick. The Quintet's concert took place at the Students Union Hall at London's University College on December 12, 1966, among an intimate and enthusiastic audience of friends, and remarkably, recorded by George Foster. Deputizing for bassist Dave Green, who left early due to a double booking at Ronnie Scott's Old Place, was New Jazz Orchestra's bassist Tony Reeves, who plays beautifully throughout. From the exhilarating, and hitherto unreleased "Trane's Mood," through the lyrical "Webster's Mood," the quintet's performance overflows with emotion and beauty.